There's more to Netgear than routers and switches. 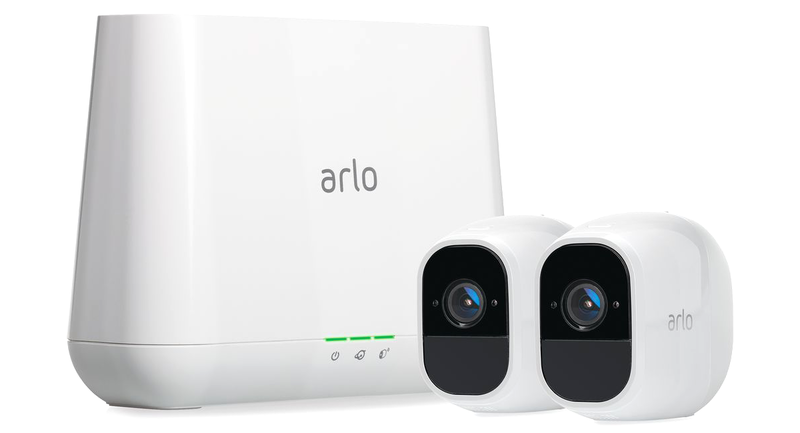 The California-based outfit may be best known for producing business-grade networking hardware, but it has used that experience to create Arlo, a relatively new name that is well positioned to become a mainstay in the smart home of today and tomorrow. Since December 2014, nearly nine million Arlo devices are said to have been shipped worldwide, and the success has culminated in Arlo being spun-off as a public company trading on NYSE. It is one of many smart home manufacturers to have soared in popularity, and the fame is built primarily around wire-free home security systems that offer CCTV protection with minimal hassle. To see how the product performs, we have the latest-generation Arlo Pro 2 in for review today. As with most 'smart' gadgets, hype and presentation count for a lot. Arlo's website is undeniably swish, and going by what's written on the tin, setup will be a cinch, features are plentiful, and there's no subscription fee to worry about. Sounds promising, and the chic first impression is conveyed in the price tag. At the time of writing, a two-camera Arlo Pro 2 kit will set you back £570. Three- or four-camera kits are also available at £700 and £900, respectively, and if you want to add any further cameras, they're £230 apiece. These are big numbers, yet smart home security solutions are flying from the shelves, and manufacturers are aware of the fact that a lot of folk are willing to pay for the peace of mind. In addition to the cameras, each kit includes a base station measuring 59mm x 175mm x 127mm in size. Albeit constructed primarily of plastic, the reasonably small unit looks cute and will connect to up to 15 cameras via 2.4GHz 802.11n WiFi at a range of up to 300ft. The future of the smart home seems to be littered with hubs - I already have three, one for heating, another for lighting, and now security - but Arlo's base station doesn't look out of place and comes well equipped. The back of the unit is home to two USB ports, an Ethernet jack, on/off switch, power-supply connector, and a built-in alarm that's surprisingly loud. 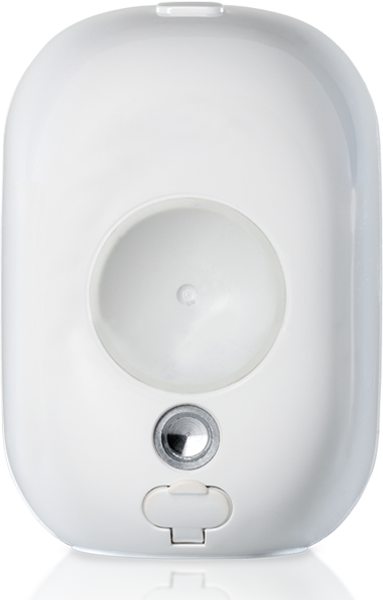 You won't feel guilty about leaving it on 24/7, either, as our review sample draws just three watts from the wall. Maintaining a familiar aesthetic, each 79mm x 49mm x 71mm camera weighs just 136g and is finished in white plastic whose rounded edges give the appearance of soft pebbles. There's a micro-USB charging port tucked beneath a flap on the back, as well as a choice of magnetic or screw-mounting options, and the internal battery is removable. They're nice-looking pieces of kit, and though they aren't in any way exceptional by modern camera standards, the 1080p resolution, 130° field of view and night-vision capabilities bode well for keeping an eye on that which matters most. Ease of use, as you might expect, is a key selling point, and Arlo Pro 2 setup is for the most part quick and painless. The process entails connecting the base station to your network using the supplied Ethernet cable, turning on the power, and then launching the Arlo app on either iOS or Android. Our base station was discovered almost immediately, and the on-screen wizard then talks you through connecting the individual cameras, which is merely a case of pressing sync on both pieces of hardware. We were able to get up and running in next to no time, and it's the wire-free approach that will appeal to most users. 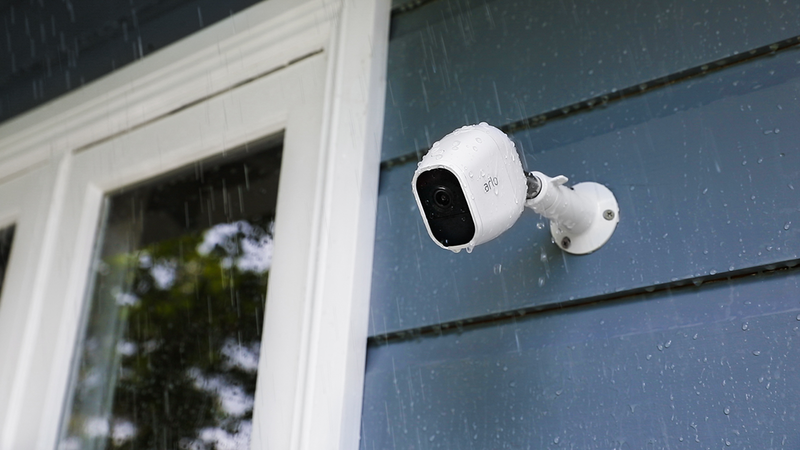 Having no cables running to the cameras is a genuine attraction, as it makes placement so much easier, and Arlo Pro 2's cameras are IP65 rated, meaning they can be positioned indoor or out, and ought to withstand the best and the worst of our British weather. Doing away with cords has obvious upsides, however there are some downsides to consider, as well. Each camera is fitted with a removable and rechargeable battery that is said to be good for up to six months, depending on activity. That's a decent amount of runtime, but it's still a hassle to have to charge each camera from time to time, and Netgear isn't using regular AAs, so if your lithium-ion units degrade in years to come, be prepared to fork out £70 for each new battery. 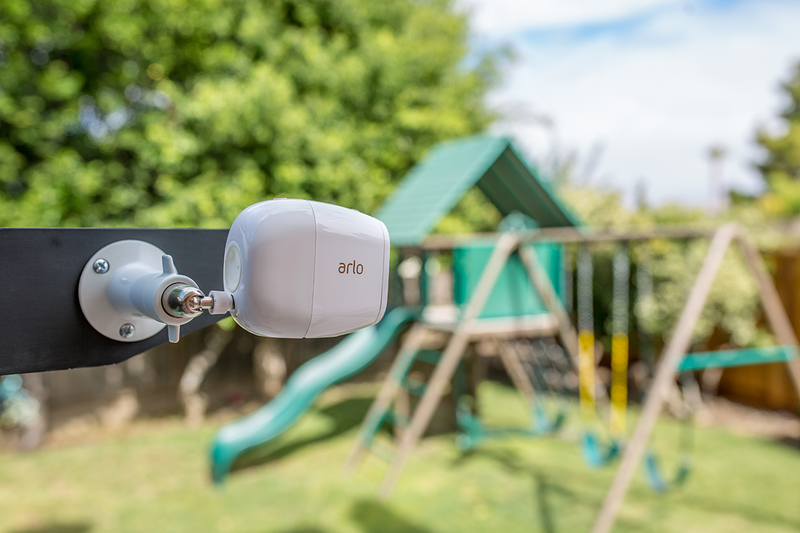 It's also worth noting that while wireless is convenient, some of Arlo Pro 2's more advanced features are only available when the cameras are wired. Taking the wired route may then seem the better long-term solution, but there are provisos here, too. As part of the default bundle, Netgear includes only a single USB charging cable that isn't suitable for outdoor use, and no mains power adapter to go with it. The off-the-shelf kit is a wireless solution first and foremost, and that is reflected in the two magnetic wall mounts that are included in the box. They do a good job of holding the cameras in place indoor, but aren't ideal for outdoor use - they're strong magnets, but would you want a security camera that someone could just yank off the wall? Total cost of ownership is an important consideration with today's security systems, and users should be aware that the £570 up-front fee for the two-camera kit may not cover all eventualities. As mentioned above, those who choose to mount a camera outdoor are encouraged to pick up an Arlo Outdoor Mount (£25), an Arlo Outdoor Power Adapter (£27), or if cabling isn't an option, an Arlo Solar Panel (£90). Once you have the hardware configured the way you want it, there are optional subscriptions to contemplate. 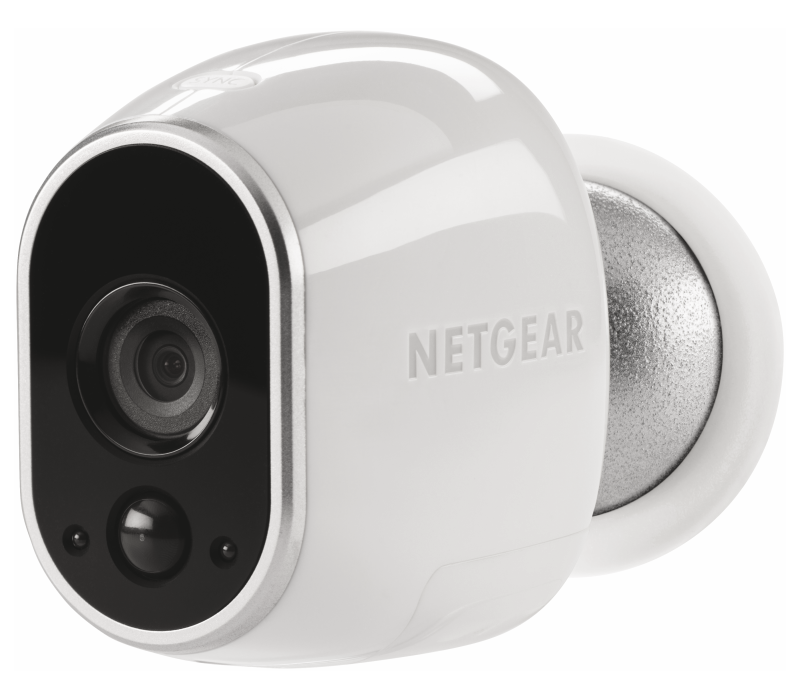 Netgear's free package will offer support for up to five Arlo cameras and seven days of cloud recordings that are triggered whenever motion or sound is detected. Upgrading to Premier will enable 30 days of cloud storage and support for up to 10 cameras at a cost of £6.49 monthly or £64 annually, while the Elite package permits up to 15 cameras and 60 days of recordings for £9.99 a month or £99 for the year. On top of that, there are also CVR options that can be purchased to allow Arlo cameras to record non-stop, and these are charged per camera. Put all that together and a system with a Premier subscription and four cameras (two indoor plus two outdoor using the appropriate kit) would set you back over a grand in the first year. On the plus side, Arlo's popularity brings with it some important advantages. Firstly, there is now a wide range of third-party accessories available for those looking to save a few bob, and secondly, any manufacturer offering a free cloud storage option needs to be built on solid foundations, and Arlo is going from strength to strength.